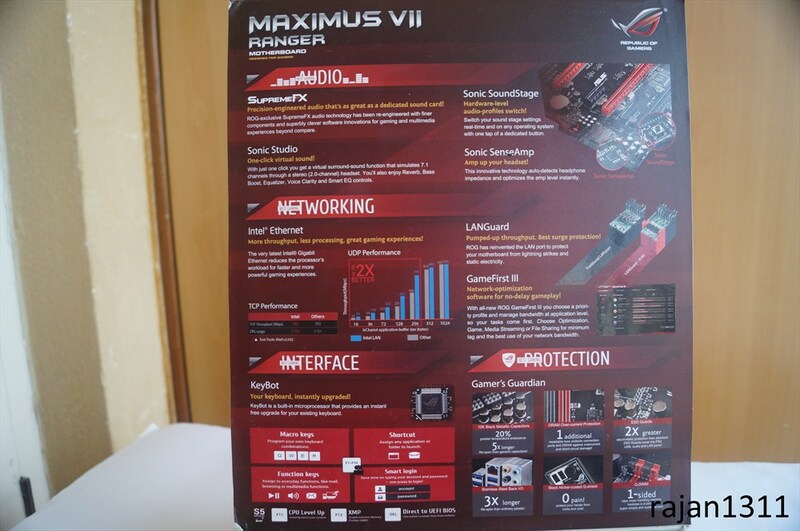 The Maximus 7 Ranger comes in the typical Asus Maximus styled box. 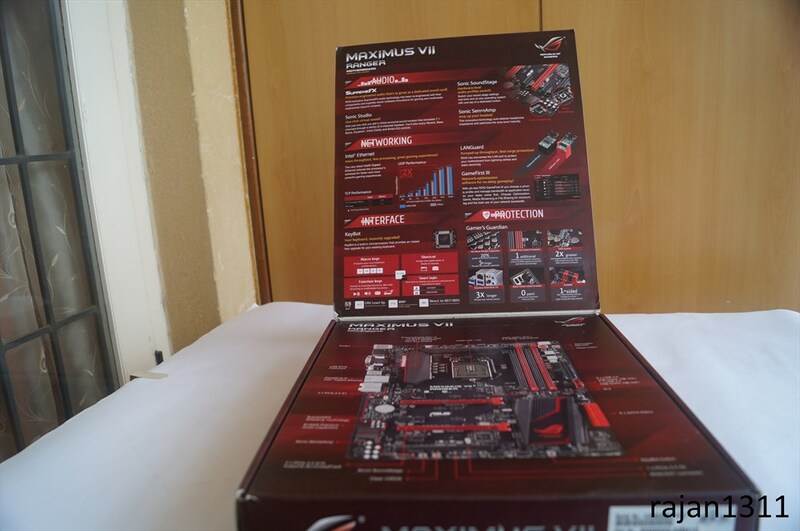 On the top its got a flap which contains some features about the motherboard and also shows its complete layout. 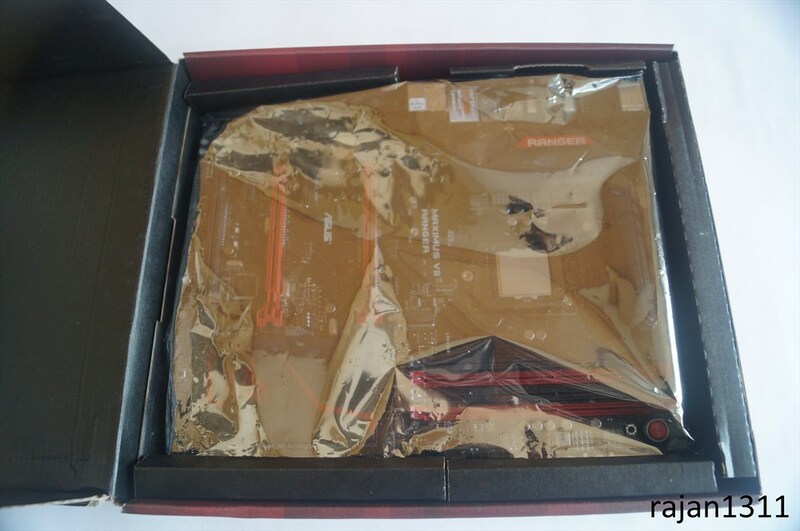 Opening the box, we can now see the motherboard wrapped in an anti static bag. 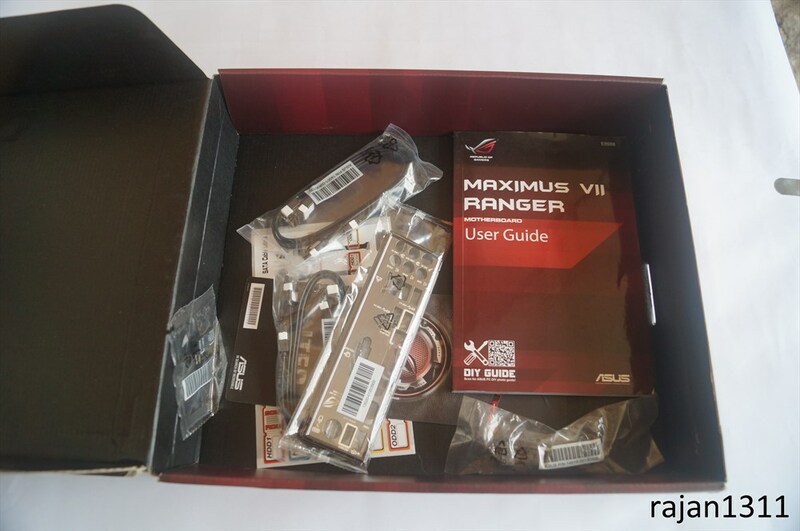 Below this, there is a section with the accessories. 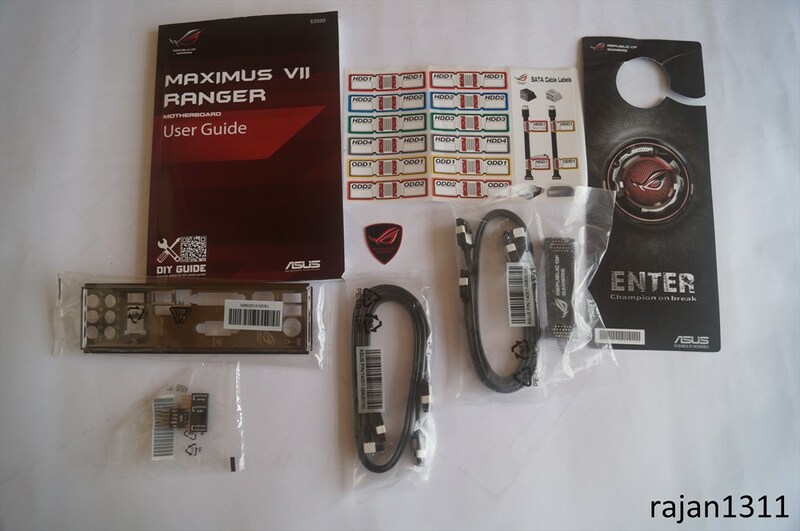 We get the user manual, 4 SATA cables, the IO backplate, an SLI bridge, some cable management stickers, an ROG badge and a door knob hanger. 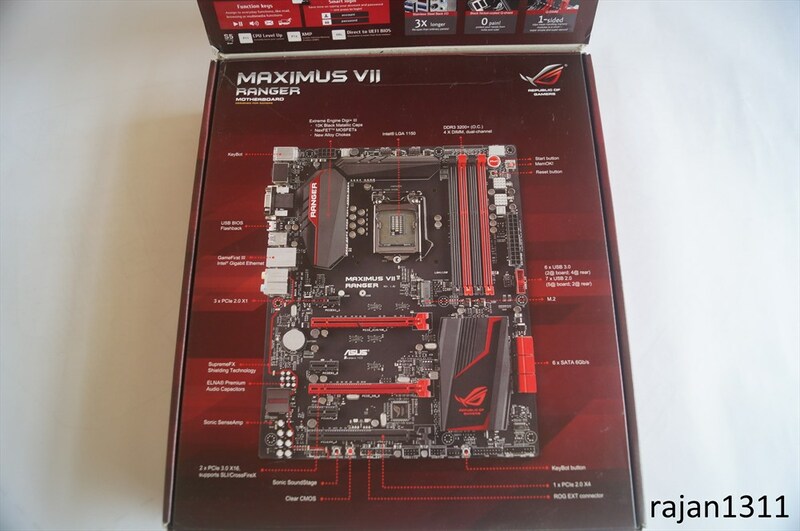 All in all a decent package for a motherboard in its price segment.